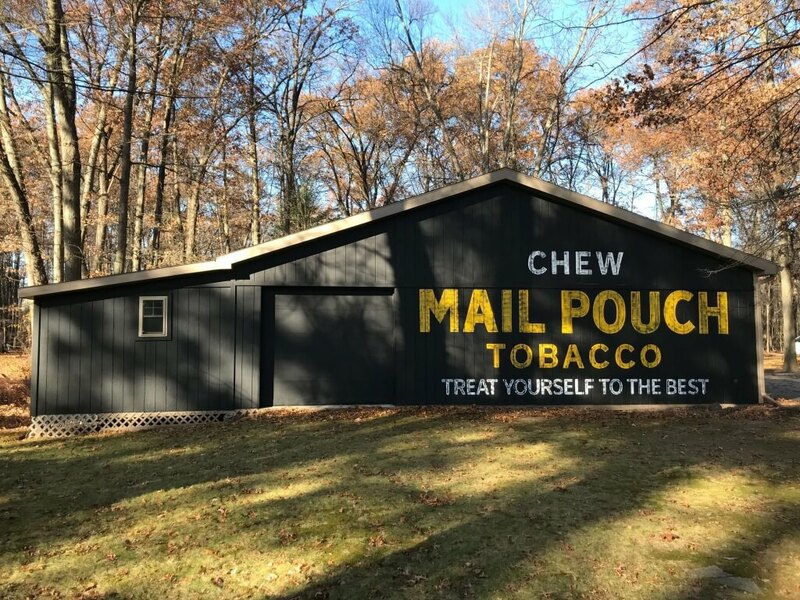 We recently had the honor of being able to say we painted a Mail Pouch Tobacco sign in rural Ohio. 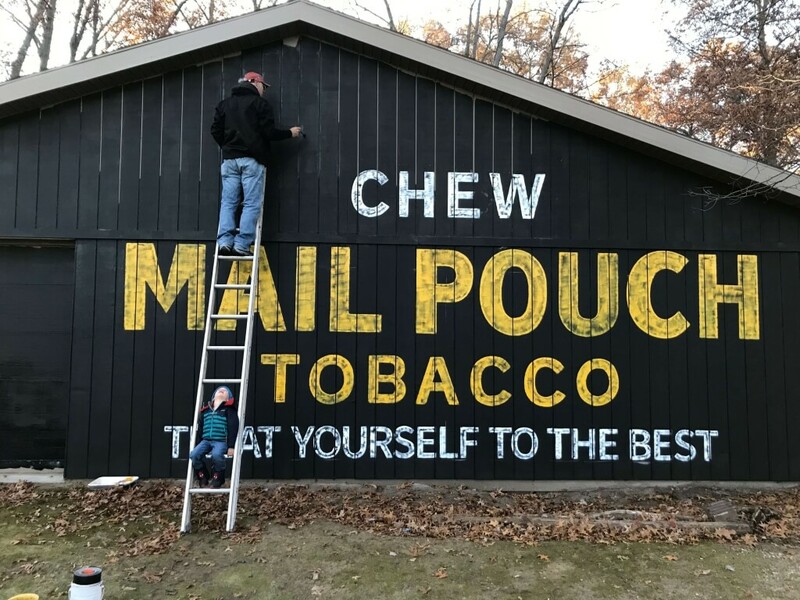 For those not familiar with this advertising campaign, it ran from 99 years from 1891 to 1992 with the bulk of them being painted by a sign painter named Harley Warrick who painted over 20,000 Mail Pouch barn signs, his last being in 1992 before retiring. 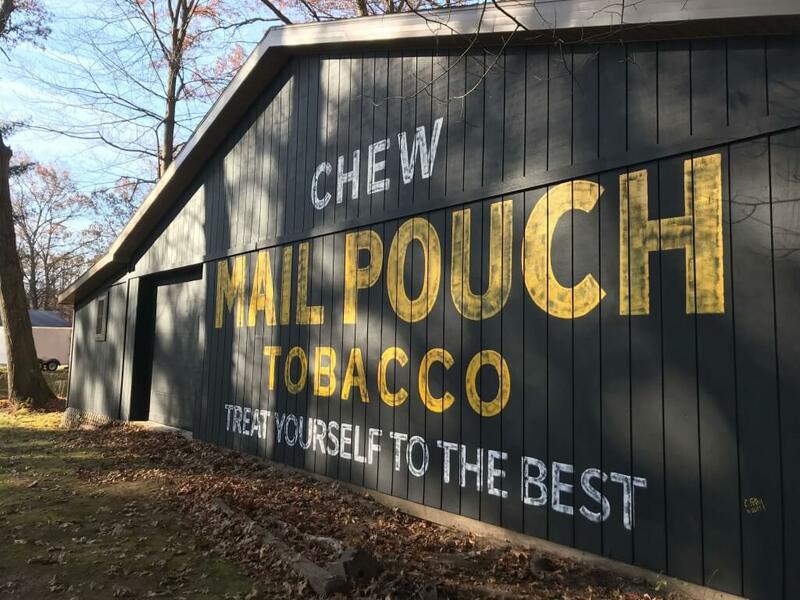 It was at that time that the company that owned Mail Pouch Tobacco suspended the campaign. 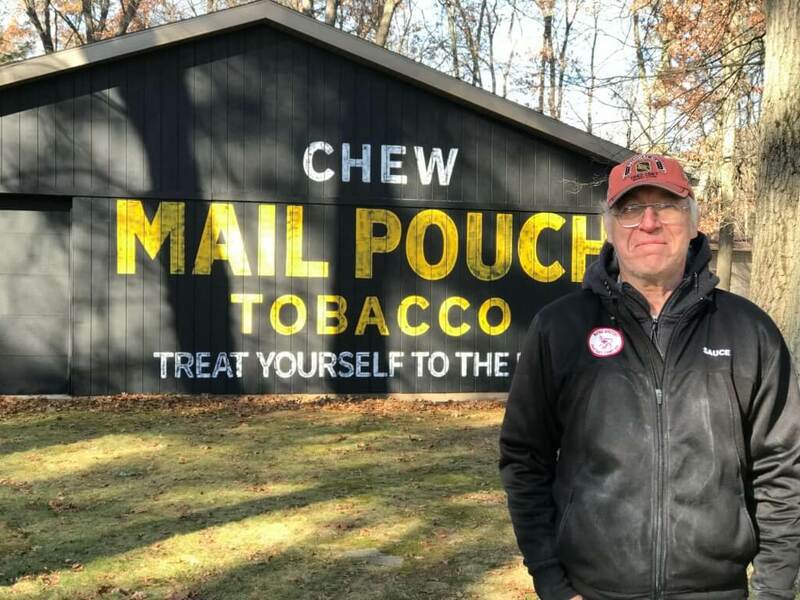 However, many of these advertisements remain intact on barns across the United States and they have been designated National Historic Landmarks. 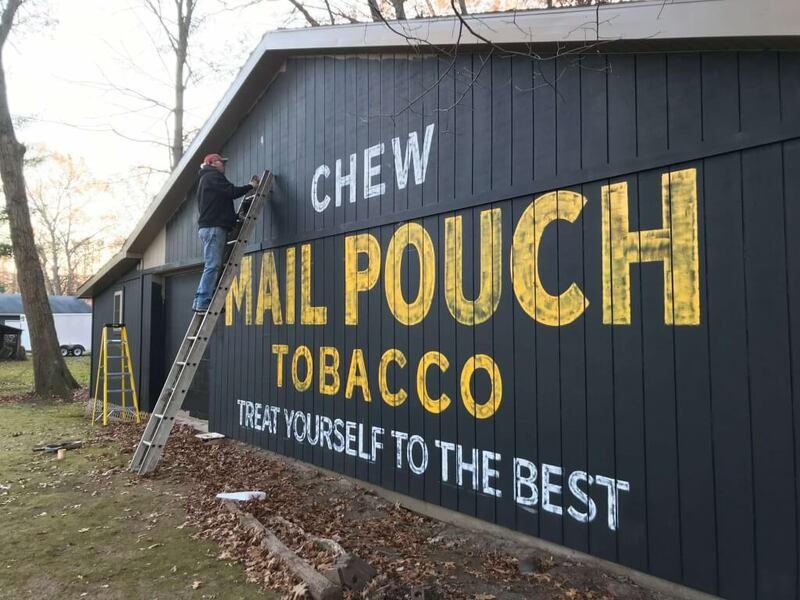 When Ches was presented with the opportunity to hand paint the famous Mail Pouch Tobacco lettering in Swanton, Ohio, it was a project he could not pass up. Below is a video from the project. Enjoy! 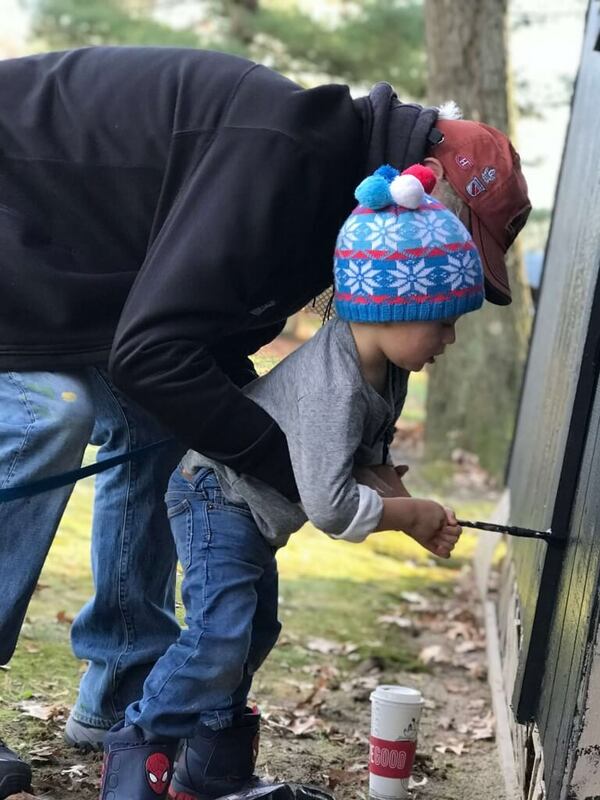 Ches’ grandson Johnny helped out with some of the painting. 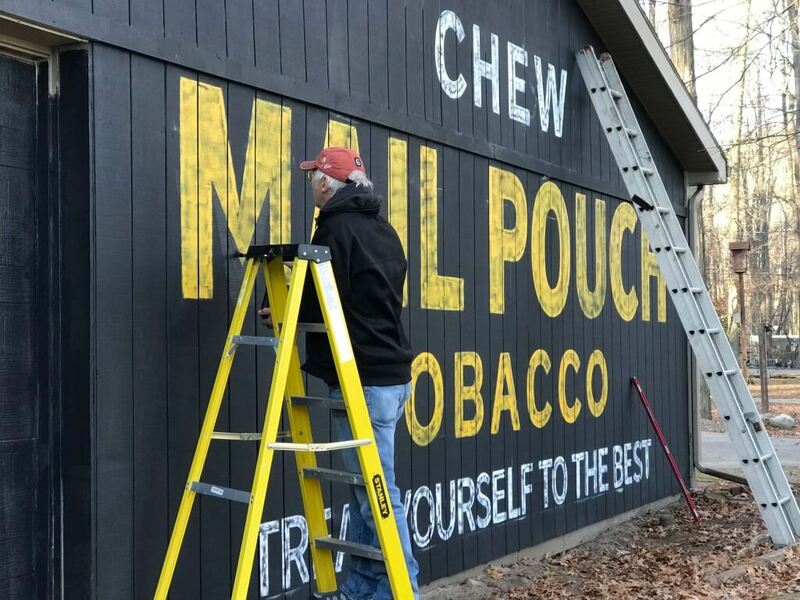 Ches Perry of Right Way Signs of Chicago with the finished project. A sign “bucket list” item checked off.